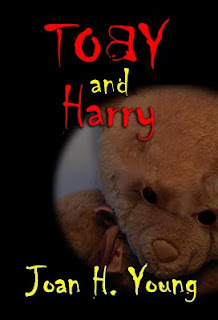 Shark Bytes and Tales: Cover Art for "Toby & Harry"
Getting ever closer to having a short story available for sale. The cover design is now set, and I'm only waiting for the final edits and for Twin Trinity Books to make it live on the web site. Of all my stories that will be featured at TTM, this is probably my least favorite, so in one way I'm nervous that it's the first up. It was written for the theme of "Anger," and I took a tack that is rather out of the ordinary for me. I hope readers who don't find this story appealing won't just decide that they don't want to read other stories of mine. Of course, perhaps when the rest of the anthologies are out, readers will get a better idea of what I can do. The best stories go in the books. I'll post more of a teaser when the story is actually available for download.